Many cigars producers were hoping for Trump’s victory. The Obama administration has, in their opinion, imposed way too many regulations on their industry. What does the current situation look like? Since August, 2016, cigar aficionados and manufacturers have been in a gloomy mood. A set of new, harsh regulations implemented by the Food and Drugs Administration (FDA), a federal agency responsible for protecting public health, is imposing cumbersome administrative procedures to cigar producers. Those affected are warning that this could wreak havoc on small manufacturers and lead to a less diverse offering for customers. The whole thing started back in 2009, when Congress implemented the Tobacco Control Act. “That law gave FDA the authority to regulate “tobacco products”, which is defined broadly to include all products made or derived from tobacco.” explains Azim Chowdhury, an expert in tobacco product regulation. At first, the Tobacco Control Act only gave FDA the immediate authority to regulate certain categories of tobacco products — cigarettes, smokeless tobacco and roll-your-own tobacco. So, initially, cigars were not included. But on August 8, 2016, the FDA decided to extend the regulation to all tobacco products, as authorized by law. This includes hookah, pipe tobacco, e-cigarettes and cigars. A bombshell to the cigar industry. Among the new regulations imposed by the Tobacco Control Act, the most controversial is the FDA premarket review. 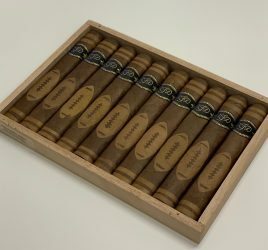 As required by law, any cigars introduced or modified after February 15, 2007 must be reviewed and authorized by the FDA. 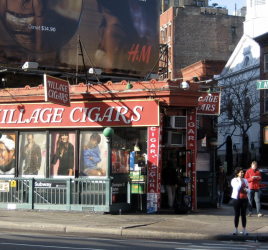 The law originally required cigars launched on the market between February 15, 2007 and August 8, 2016 to go through the validation process by August 8, 2018, but the date has since been pushed back to August 8, 2021. Any cigars introduced after August 8, 2016 require getting FDA premarket authorization prior to entering the market. There are two main premarket authorization pathways, according to Azim Chowdhury. “Filling a Substantial Equivalence Report is the pathway of choice. It requires comparing the new product to a product introduced before February 15, 2007, and demonstrating that no new questions of public health would be raised by the new product. Premarket Tobacco Product Application, the second option, has a much higher legal standard. It requires demonstrating, likely through clinical trials, that the new product is “appropriate for the protection of the public health”. Can Donald Trump help the cigar industry? Cigar aficionados are still hoping that the FDA will soften its regulation, and that they’ll be able to come up with a compromise on hand-rolled cigars. Their hopes rely on Scott Gottlieb, a former doctor who was appointed head of the FDA by the Trump administration in June, 2017. He would already have proven to be more open to negotiations than his predecessor. “Under Scott Gottlieb, the agency has changed its course on e-cigarettes and shown signs of taking a much more reasonable, evidence-based approach to regulating them. 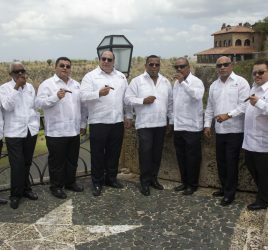 It’s possible that the agency will take a similar initiative on cigars, though I haven’t seen particular signs of this yet.” concludes Jacob Grier. Many aficionados now share his hopes.